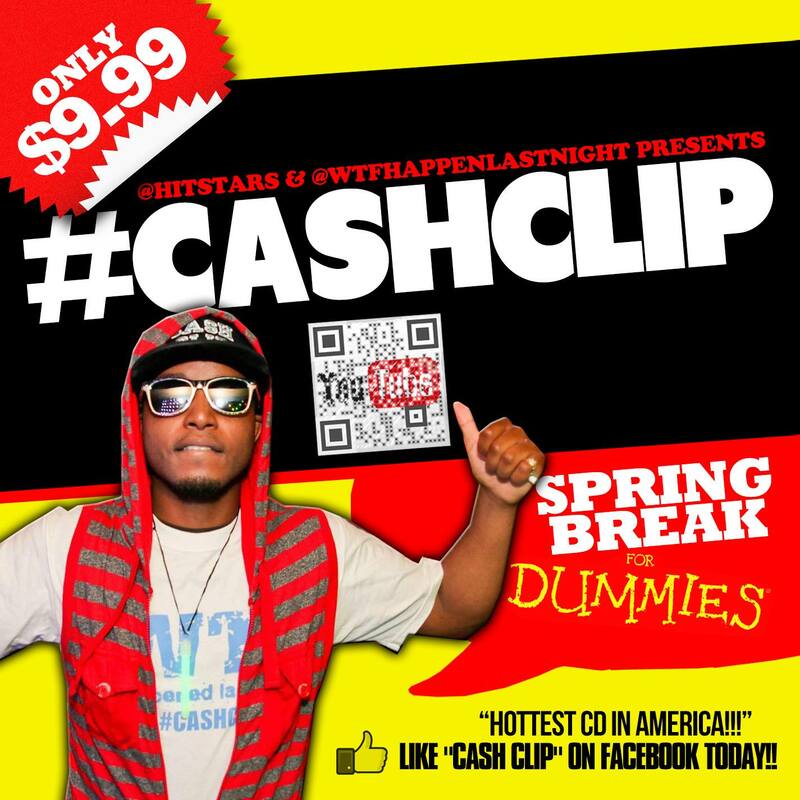 “SPRING BREAK FOR DUMMIES” by sponsored artist “CashClip”. This is the hottest cd in america! Packed with 20 invigorating songs. Took 3 years to complete and features amazing colabs with Bubba Sparxxx, Flashy, Duff.E, Solace, Edubb, Jawga Boyz & many more. Guaranteed to love A- Z. Genre's includes pop, rap, r & b, soft rock, country & dub-step! “SPRING BREAK FOR DUMMIES” by sponsored artist “CashClip”. This is the hottest cd in america! Packed with 20 invigorating songs. Took 3 years to complete and features amazing colabs with Bubba Sparxxx, Flashy, Duff.E, Solace, Edubb, Jawga Boyz & many more. Guaranteed to love A- Z. Genre’s includes pop, rap, r & b, soft rock, country & dub-step!